As previously mentioned in these dispatches (see #1 and #2), my chief sources of delight among the feature-length films shown at the 2009 Viennale were a pair of minor masterpieces from Filipino legend Lino Brocka—Jaguar (1979) and Weighed But Found Wanting (1974)—and the comparatively box-fresh Totó by Peter Schreiner. Having now seen two pictures by Schreiner and five by Brocka, I am very keen to catch further examples of their work and also to recommend them to others who aren't aware of their mastery. The low profile of Schreiner, even among committed cinephiles, is particularly perplexing and undeserved. This year's Viennale also allowed me to extend my shamefully limited knowledge of the films of Robert Bresson, who has long been one of the most revered, respected, venerated figures in international cinema. Before this week I'd only ever seen two Bressons: The Devil, Probably (Le diable, probablement, 1977), which I saw at the Edinburgh Film Festival of 1999, and Pickpocket (1959), which I saw at Newcastle's Side Cinema in 2005. I did mention The Devil, Probably in my review of Pickpocket, written for the website Jigsaw Lounge, where I described it as "drab, static." I wasn't much more taken with Pickpocket, rating it 6/10: "[Martin] La Salle, who has to carry the main burden of nearly every scene, is frequently little more than a gloomy, staring blank. And [his] Michel is less a character, more a mouthpiece for Bresson's ideas—to the extent that you wonder why the writer-director didn't just cut out the middle-man and play the role himself...[A] little of Michel's sophomoric self-analysis goes a long way. A charitable view would be that Bresson fully intended Michel to be abrasively unsympathetic, emotionally inconsistent and gratingly pretentious—if so, he succeeded all too well." My less than enthusiastic responses to these two films probably explains why I hadn't sought out other Bressons with much energy—I found it frustrating that I couldn't see what others found so self-evidently superb in Bresson's work, and while I purchased his valedictory Money (L'argent, 1983) on DVD a couple of years back, I still haven't gotten around to watching it. I was, however, delighted when I noticed that Bresson's Au hasard Balthazar (1966, released in some English-speaking territories simply as Balthazar) was in the Viennale 2009 lineup as part of a tribute to star guest Tilda Swinton. Indeed, I selected it as #2 in my personal "must-see" top ten in my preview for this website back in August. Ms. Swinton, who would have been five or six at the time of filming, doesn't actually appear in the movie herself, but it's one of her favourite pictures and was therefore presumably included in the programme as a kind of 'carte blanche' selection. 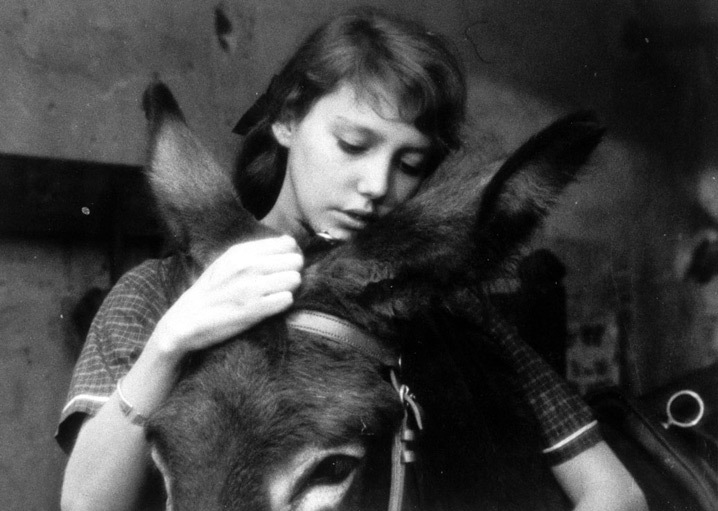 The story of a donkey (named after one of the biblical magi, whose moniker is Phoenician for "God protects the king") and the humans who look after and/or mistreat him in an and around a village in rural France, Au hasard Balthazar is beloved even of those who don't embrace Bresson's other work, and is generally regarded as one of cinema's great masterpieces. I approached it with a degree of trepidation, knowing that if I wasn't blown away by this Bresson, I was probably doomed to (a) never "get" any of his work, and (b) languish in a bleak, out-on-a-limb form of heretical isolation, mocked by my peers for my cloddish cine-philistinism. Well, I'm afraid that does seem to be my destiny after all. Yes, it has its transcendent moments (especially near the beginning when Balthazar is barely more than a foal), and Bresson's elliptical, withholding narrative technique is intriguing—up to a certain point. But after a while I started to wonder whether there's really any there there, to paraphrase Gertrude Stein on Oakland. Yes, the film deals with spiritual and religious issues—but I'm damned if I can understand those who regard the eponymous donkey as some kind of Christ figure. And when a character remarks "besides, he's a saint," I had absolutely no idea what she was talking about —rather than casting new light on Balthazar and his journey through life, it struck me as a deliberately nonsensical non sequitur, as much as Nina's famously impossible-to-deliver line "I'm a seagull" from the Chekhov play. As many have noted, Balthazar himself (and while the beast has a certain presence, I part company with Tilda if she really does think that this is one of the great screen performances) is essentially an amiable blank upon which others can project their ideas of goodness, saintliness and so on. But by the end of the film I'd grown to regard it as essentially autobiographical: by filling his picture with so much ambiguity, so much silence, so many caesuras and absences, Bresson allows the viewer to invest it with as much meaning and magic as they themselves desire. And besides, as we've been told for so long, Bresson's a saint. But what kind of saint would tie a burning newspaper to a donkey's tail and watch it buck and kick along a road in evident distress? That's precisely what Bresson does during one particularly harrowing scene, and I simply won't have it that cultural norms were somehow so different in mid-sixties France that cruelty to animals, even at the service of "great art", can be justified. There are a thousand ways of illustrating the maltreatment of an animal, and the majority of them do not involve the actual maltreatment of the animal concerned. And this in a film about how terrible it is that we make dumb animals suffer for our sins and stupidities! Ummm...isn't this what we call "hypocrisy"? Or am I missing some kind of exquisite hermeneutic point here—does Bresson's genius provide him with some kind of moral "get-out-of-jail-free" card? I have other objections to Au hasard Balthazar—relating to the plotting (unnecessarily nebulous), the characterisation (haphazard), the arch "acting" (I care not a whit if the individuals involved are "professional" performers or otherwise), the humourlessness, and even, at one or two points, the editing (watch the fade that follows the breaking of a window just before the finale). 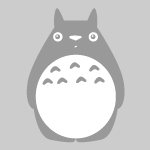 Overall, I find it, like Pickpocket, ambitious and, up to a point, quite fascinating. I just can't honestly say that I regard it overall as anything other than slightly above-average—especially when considered alongside likes of Jaguar and Totó—and I'd be as hypocritical as Bresson if I pretended otherwise for the sake of maintaining some kind of cinephiliac bella figura. A couple of mornings during the Viennale the Filmmuseum staged press screenings of some 1960s films by Oshima Nagisa, and I asked a colleague if he was planning to go along. The answer was no, as my friend explained that regarding Oshima he wasn't "a believer." Maybe this is a fair description of my relationship with Bresson—I wouldn't say that I'm exactly an atheist regarding the man many (audiences, critics, filmmakers) worship as a kind of cine-divinity, more of a cautiously skeptical agnostic. I'll watch L'argent sooner rather than later, and will definitely look out for the likes of Mouchette (1967), try to catch 1956's A Man Escaped (Un condamné à mort s'est échappé)—the Bresson which, reliable pals inform me is the one that may provide my frustratingly belated Damascene conversion. I haven’t seen it, but why did you change Mifune from a B+ to an A-? Well, I’m not sure if it’s possible to describe what is so great about Bresson’s work, it’s something that you probably cannot analyze. Someone wrote (don’t remember where I read it) that Bresson makes films you cannot imagine in any other medium, neither as a theatre piece nor as literature nor as something else. It is not a story or an idea that is then taken onto the screen, it is cinema art in its most narrow sense, it is just there on the screen like a painting is just there on the wall. And I think this is what describes Bresson’s work best. I know what you mean, but I can’t help being a little suspicious of something that “cannot be analyzed.” For example, I love the paintings of, say, Caspar David Friedrich, and there’s something ineffable, mysterious, subjective and indescribable about their effect. But there’s plenty that is emphatically analysable and describable about them. With Bresson, I get the feeling that he leaves enough space and air and ambiguity for the viewer to project whatever they want into the film. And that’s of course a fine and valid method of making art. I personally just want something more. this film is amazingly beautiful, so subtle, and intelligent, it must be seen absolutely! I’m amazed that people don’t understand Bresson. He explained himself endlessly. His intentions. His rejection of acting, his ‘suggestion’, his use of natural human automatism. Anyone who doesn’t understand hasn’t looked. Baffling! Look and you’ll see that no one makes half as much sense as him. It’s always simply a fear of something different. Filmmakers continue to cast stars. We can’t pretend we don’t recognize them. Bresson didn’t cast stars. He was right of course. Alone, but right. Everyone’s just afraid of his endlessly reasonable iconoclasm. He could be 100% right in everything but… he’s still unfamiliar. And Michel is all that you said he is. Just like Raskolnikov was. Raskolnikov was no mouthpiece for Dostoevsky. Same thing. Yet again, traditional preconceived notions as to what films should be. Bresson himself said “He is unsympathetic. Why not?” Just read interviews and his book, and figure out why he does what he does. You’ll be amazed at all things you had never considered before.